If you haven’t heard of Microsoft Windows Virtual Desktop (WVD) already, you must have been living under a rock. The technology has been in the news for a few months and is expected to hit the consumer market in the first quarter of 2019. Let’s get to know more about Microsoft WVD. 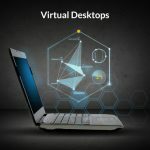 What is Microsoft Windows Virtual Desktop (WVD)? Microsoft WVD is a service offering by Microsoft designed for users who intend to virtualize Windows 7 or Windows 10. The service will also let users virtualize different third-party applications and Microsoft’s own Office 365 ProPlus. The system is based on the Microsoft Azure platform and is among the most-anticipated technologies. How can Microsoft WVD benefit organizations? Microsoft WVD is a service that lets you run virtual desktops and applications remotely. While there are already several tools on the market that promise to do this, Microsoft WVD is unique: It’s the first tool that allows multi-session Windows. A combination of Microsoft 365 and Azure, Microsoft WVD offers several benefits to the end user. It’s said to be helpful in reducing IT costs by letting users enjoy virtual environments that also offer high scalability. It’s also a great tool for users who wish to stick with Windows 7. There has been a lot of discussion regarding Microsoft’s decision to stop providing support for Windows 7 next year. The platform would let users enjoy a virtual version of the operating system for three years without having to purchase Extended Security Updates. How can I subscribe to Microsoft WVD? Microsoft is offering the service for free to Microsoft F1, 365 E3, and E5 customers. You can also create an Azure account and try what Microsoft Windows Virtual Desktop has to offer. In addition, other providers may also offer the service when it comes out. At Parallels, we’re working closely with Microsoft to add WVD to our impressive list of offerings (which already includes Microsoft Azure).